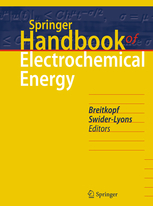 In this book chapter, we present an comprehensive overview about the elaboration of highly-ordered macroporous electrodes. We also discuss in detail their physico-chemical characterisation and their potential applications. Our group is part of the Institute of Molecular Sciences (ISM) of the University of Bordeaux and is located at the Graduate School of Chemistry, Biology and Physics (ENSCBP). The main activities are focused on the development of new analytical tools and techniques with a special accent on miniaturized systems applied to the study of biological systems and biomedical issues. Our research addresses problems resulting from the ever increasing demands of our modern society concerning various aspects like public health, security and environmental issues. Distinguishing molecules with almost identical physico-chemical properties, tracking their evolution with a high spatio-temporal resolution, detecting them at the cell or subcellular level in complex environments, are some of the challenges that we work on. Current projects include biofunctionalized nanoparticles, chemical sensors for Biology, electrochemistry of biosystems, micro/nanoscale imaging and smart functional nanostructures. In order to work successfully on these topics, our group is an interdisciplinary team with know-how ranging from Electrochemistry and Optics to organic or colloidal synthesis and Cell Biology. The resulting synergy is the guarantee for solutions to some of the current problems in the field of Analytical Chemistry. Enjoy your visit and feel free to contact us if you have questions of any kind !